1.1 “GHH” means Greyhound Household, the provider of the domestic wheelie bin waste collection service. 1.2 “Bins” mean waste receptacles provided by GHH for the purposes of provision of the Service and shall include any green and / or brown and / or black and / or grey wheelie bin or other waste receptacle. 1.2.1 “Bin Recovery Charge” means a charge payable by the Customer on termination of the contract pursuant to Clause 16.1. The charge will reflect the actual expenditure in respect of recovery of all bins in the possession of the Customer but will not exceed €40.80, which reflects the average recovery cost being €30, and the actual Bin sanitation cost of €10.80. 1.2.2 “Bin Replacement and Attempted Recovery Charge” means a charge payable by the Customer on termination of the Contract by either party if the Customer does not allow GHH to recover possession of the Bins (pursuant to the Customer’s agreement in Clauses 6, 7, and 15). This charge will reflect the fees chargeable in respect of replacing green, brown and black bins (as set out in Clause 4) as well as any actual expenditure in respect of attempted Bin recovery (any charge for attempted Bin recovery will not exceed €30). The maximum Bin Replacement and Attempted Recovery Charge possible is €105 (€75 in respect of replacement of all three bins (i.e. €25 each) and €30 in respect of attempted recovery). (a) Any sum paid towards lift charges or weight charges in relation to Bins that have not yet been collected by GHH. (b) If an annual service charge is payable and has been paid in advance, or, if payable in instalments, any sum or part of a sum paid that corresponds to payment in respect of a month (of the 12 months of the contractual period) that has not yet started. Each month representing one twelfth of the annual service charge. (c) If a monthly service charge is payable and has been paid more than one month in advance, any sum or part of a sum paid that corresponds to a month, that has not yet started. 1.4 “Customer” means the consumer to whom the Service is provided. 1.5 “Service” means the collection by GHH of domestic waste in Bins provided by GHH. 1.6 “Payment” means any or all payments due to GHH by the Customer in respect of the Service. 3.1 The Customer shall ensure that the Bins are left outside on the footpath before 6am on the morning of collection and brought back in as soon as possible after the Bin has been emptied by GHH. Bins not left out on time will not be collected until the following scheduled service day. 3.2 Under current local authority bye laws once you present your bin for collection the bin must be closed and not overloaded. You are not permitted to leave any waste material next to or on top of your bin for collection (except for Christmas GREEN bin collections when this term does not apply). If you do not adhere to these regulations your local authority may impose a fine on you, GHH does not accept any responsibility for these fines. 4. The Customer accepts, acknowledges and agrees that it will keep the Bins in good substantial repair and condition. The Customer accepts, acknowledges and agrees that, if any Bin, provided by GHH, is lost, damaged or stolen, the Customer will be liable to pay to GHH a replacement fee of €25 per Bin (All bins previously provided by Dublin City & South Dublin County Councils are now the property of GHH). 5.1 Only material, as described on this website, may be placed in the black / grey bin (black / grey bin waste). 5.2 Only material, as described on this website, may be placed in the brown bin (brown bin waste). 6. The Customer accepts, acknowledges and agrees that the Bins are, and shall remain, the property of GHH and hereby agrees to permit GHH to enter onto the premises on which the Bins are situate for the sole purpose of inspection and examination of the Bins and / or repairing or recovering possession of the Bins at such reasonable time as would facilitate such inspection, examination, repair or recovery. The permission to enter pursuant to Clause 6 shall only apply where notice has been served pursuant to clause 7 and the Customer does not avail of the opportunity to leave the bins outside the premises. 7. GHH will provide the Customer with reasonable notice of any such inspection, examination, repair or recovery of the Bins, informing the Customer of the time period within which such inspection, examination, repair or recovery shall take place, in order that the Customer may avail of the opportunity to leave the Bins outside the premises in the same way as they would for the purpose of Bin collection, in order to facilitate the process and avoid the necessity of permitting GHH to enter onto the premises on which the Bins are situated. 8. The collection service will operate from Monday to Friday on a fortnightly basis in accordance with the collection schedule as set out on this website. 9. GHH reserves the right to alter the collection schedule but will notify the Customer where reasonably practicable in advance. 10.1 The Customer will be notified by GHH whether an annual service charge applies in respect of the Service and the amount of that annual service charge. Payment of the annual service charge will be made in advance by the Customer and the Customer will be notified of any renewal / payment date at least one month prior to the payment being due, along with any change to the rates being charged by GHH for the Service. 10.2 The Customer will be notified by GHH of the manner in which charges and rates shall apply to the Service from time to time. 10.3 The rates / charges (to include the annual service charge), chargeable in respect of the Service provided by GHH, will be reviewed periodically and the cost / rates / charges in respect of the Service to the Customer may change. Payment for the Service must be prepaid. Payment may be made by credit/debit/laser card at your local post office, online, by phone or by automated top-up service. 10.4 GHH reserves the right to cease or suspend the Service in the event of non-payment by the Customer. 10.5 In the event of termination of the contract, by either party, within the 12 month period, the Customer will be entitled to a refund of any credit balance in the Customer’s account. 10.6 Customers acknowledge and accept that GHH provides a pre-paid service and to ensure collection must have sufficient credit on their account 12 hours prior to their scheduled collection. It is the responsibility of the Customer to advise GHH of any changes to your debit/credit card details or if either card expires. 10.7 Green bin collections are free to customers who are in credit with their account. Green bins will not be collected for customers with a negative account balance. 10.8 Customers may pre pay monies to GHH in respect of the Service by using the automatic top up service as is outlined on the GHH website. 10.9 Customers who pre pay GHH for the Service by utilisation of their Top Up Card in An Post outlets may be charged an administration charge by An Post. 10.10 Greyhound reserve the right to change pricing due to Government Levies and Vat increases, or when there is a material change in costs of disposal of recyclables or waste material. Customers will be notified before any of these changes occur. 10.11 In relation to any rates chargeable by weight; in the highly unlikely event that GHH’s weighing system fails while collecting a Customer’s Bins, GHH will only charge the Customer based on the average weights of their Bins over the previous 4 collections. 10.12 In the event of the contamination of a Bin being identified pre service, the Bin may not be serviced as per schedule. A separate service arranged at a cost of €30 will be incurred, in addition to the weight/ lift/service charge. In the event of the contamination being identified post service; the customer may be charged a disposal / cleaning charge of up to €30 in addition to the weight/ lift / service charge. 10.13 Customers acknowledge and accept that GHH provides a pre-paid service and to ensure collection must pay a deposit of €35. This deposit is held against the value of the bins in the possession of the Customer. The deposit is fully refundable subject to the bins being returned following a valid contract termination by the Customer. If the deposit is forfeited by GHH then the amount of the deposit will be offset against the bin recovery charges described at Clause 16. 11.1 This contract and these terms and conditions shall apply for a period of 12 months and the Customer is deemed to be bound by these terms and conditions from the date of the first payment made by the Customer to GHH in respect of the provision of the Service, or part of the Service. 11.2. These General Terms and Conditions and any further terms and conditions that apply to the contract between the Customer and GHH will be provided to the Customer in writing, before the first payment is made by the Customer. The Customer has the right to cancel this contract within 7 working days of the first payment being made without any reason being given. If the Customer cancels within the 7 day cancellation period they will be entitled to a full refund of all sums paid to GHH. The Customer must inform GHH that they wish to cancel in writing, either by post or email, and the written notification of the Customer’s wish to cancel must contain the Customer’s name, address and the account details of the account into which any refund is to be paid. 11.2.1 The Customer agrees that they do not have the right of cancellation within the 7 day cancellation period if they agree that GHH should start providing the Service (ie. If they collect the Customer’s domestic waste Bins) before the end of the 7 day period. 11.3 GHH may change or add to these terms and conditions from time to time. GHH will give the Customer at least one month’s notice in writing of any changes to these Terms and Conditions. If the Customer wishes to cancel the contract because of the changes to these Terms and Conditions they can do so by giving GHH notice in writing, by post or email, at least 7 days before the changes come into effect (this right is subject to Clause 11.3.2). On cancellation the Customer will be entitled to a refund of their credit balance and no Bin Recovery Charge will apply. The written notification of the Customer’s wish to cancel must contain the Customer’s name, address and the account details of the account into which any refund is to be paid. 11.3.1 The Customer agrees that if they do not give GHH written notice, by post or email, that they wish to cancel the contract at least 7 working days before the changes to these Terms and Conditions come into effect, that they agree to be bound by them. (a) Act of the Oireachtas, (b) Government Regulation, or (c) European Regulation or Directive will not result in a right to cancel, as such changes are outside the control of GHH, and are universally applicable. While GHH will endeavour to give as much notice of any such changes as possible, one month’s notice cannot be guaranteed as that is also a factor outside the control of GHH. 11.4 GHH may, from time to time, issue to the Customer separate Further Terms and Conditions in respect of the Service, and / or the cost of the Service (described as “Plans”). GHH will give the customer at least one month’s notice in writing of any such Further Terms and Conditions. If the Customer wishes to cancel the contract because the Further Terms and Conditions result in a price that is too high compared to the price the Customer agreed to pay for the Service at the beginning of the contract, they can do so by giving GHH notice in writing, by post or email, at least 7 working days before the changes come into effect (this right is subject to Clause 11.4.2). On cancellation the Customer will be entitled to a refund of their credit balance and no Bin Recovery Charge will apply. The written notification of the Customer’s wish to cancel must contain the Customer’s name, address and the account details of the account into which any refund is to be paid. 11.4.1 The Customer agrees that if they do not give GHH written notice, by post or email, that they wish to cancel the contract at least 7 working days before the further terms and conditions come into effect, they are agreeing to them. 11.4.2 The Customer agrees that any change to Further Terms and Conditions (“Plans”) in respect of the cost of the Service which is necessitated by: (a) Government Levies; or, (b) VAT Increases, will not result in a right to cancel, as such changes are outside the control of GHH, and are universally applicable. While GHH will endeavour to give as much notice of any such changes as possible, one month’s notice cannot be guaranteed as that is also a factor outside the control of GHH. 12. GHH will give the Customer reasonable written notice of the 12 month period of the contract coming to an end. The Customer agrees that if they do not give GHH written notice that they wish the contract to come to an end, at least 7 working days before the end of the 12 month period, that the terms of the contract will continue to apply for a further 12 month period. 13. GHH cannot be held responsible for any inconvenience arising from failure to provide the Service because of factors which could reasonably be considered to be outside the control of GHH, such as adverse weather conditions, access issues, unpredictable delays caused by traffic congestion, road works, diversions or mechanical breakdowns which are unexpected and could not have been prevented by the proper execution of a reasonable preventative maintenance program. If the service is not carried out on the day specified in the collection schedule on the grounds of a valid reason (e.g. adverse weather conditions) the company reserves the right to reschedule the visit to the next reasonable opportunity for such service and no claim will lie against the company by the customer in this respect. Subject to derogation from local authorities. 14. Either party can terminate this contract on two month’s notice. Termination of the contract must be in writing; by post or email. The written notification of the Customer’s wish to terminate must contain the Customer’s name, address and the account details of the account into which any refund is to be paid. 15. On termination or cancellation of this contract, GHH reserves the right to take possession of the Bins and the Customer agrees to permit GHH to recover the Bins as per clauses 6 and 7 of these terms and conditions. 16.1 Termination of this contract, within the 12 month period, by the Customer, for any reason – other than total or partial non-performance of or inadequate performance of any if its contractual obligations by GHH, (not caused by factors outside the control of GHH) – within the 12 month period, will result in a Bin Recovery Charge being charged to the Customer. The charge will reflect the actual expenditure in respect of recovery of all bins in the possession of the Customer. This charge will not exceed €40.80, which reflects the average recovery cost being €30, and a Bin sanitation cost of €10.80. 16.2 On termination of the contract by either party, if the Customer does not comply with their agreement per clauses 6 and 7 and 15 to allow GHH to recover the Bins, a Bin Replacement and Attempted Recovery Charge will be charged to the Customer. This charge will reflect the fees chargeable in respect of replacing green, brown and black bins (as set out in Clause 4) as well as any actual expenditure in respect of attempted Bin recovery (any charge for attempted Bin recovery will not exceed €30). The maximum charge possible for a Customer for failing to return the Bins to GHH on termination is €105 (€75 in respect of replacement of all three bins (i.e. €25 each) – green, brown and black/grey, and €30 in respect of attempted recovery). 16.3 The Bin Recovery Charge per in Clause 16.1 does not apply when the Customer cancels the contract pursuant to any of the provisions in Clauses 11.2 to 11.4. 16.4 The Customer agrees that GHH can deduct any charge pursuant to Clauses 16.1 and 16.2 from the Customers credit balance before refunding it to the Customer. 17. These terms and conditions are legally binding for the duration of the contract. 1. In order to enter any Greyhound Household competition, customers must adhere to the specified guidelines of the competition. 2. All persons entering the competition will be deemed to have accepted these terms and conditions. 3. Entries must be strictly in accordance with these terms and conditions. Any entry not in strict accordance with these terms and conditions will be deemed to be invalid and no prizes will be awarded in respect of any such entry. 4. This promotion is only open to customers of Greyhound Household (“Greyhound Household”) and resident in the Republic of Ireland. Greyhound Household employees are excluded. Entries from agents/third parties connected with the competition are invalid. 5. Greyhound Household accepts no responsibility or liability for entries or information relating to entries that are lost or undelivered to Greyhound Household. 6. The winner will be notified by phone and/or email. Greyhound Household’s decision as to the winner of the prize draw will be final and no correspondence will be entered into with any entrant. In circumstances where Greyhound Household has been unable to contact the winner after three attempts Greyhound Household reserves the right to select another winner. 7. No cash or other alternative to prizes will be offered and the prizes are non-transferable. 8. Greyhound Household reserves the right at its sole discretion to alter the prize or substitute the prize with cash to the same value for any reason and without notification. In the event that the winner declines the prize awarded to him/her, Greyhound Household may award the prize to another entrant. 9. 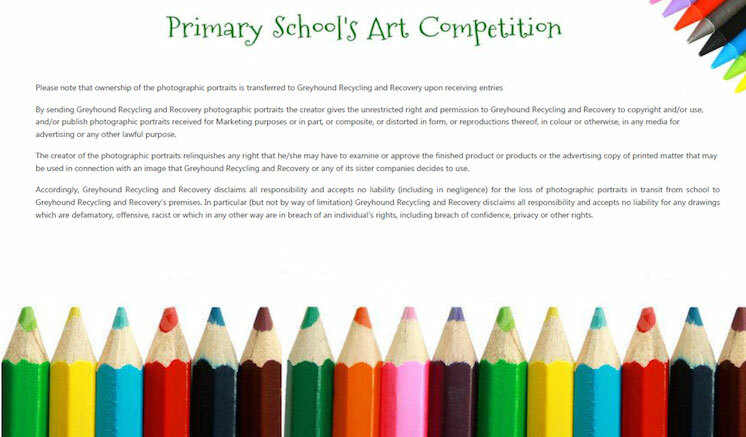 The winner must not be in breach of or have served or received notice to terminate or suspend their waste collection agreement with Greyhound Household at the time of the entry into this competition. 10. 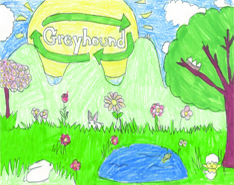 By accepting the prize, the winner grants Greyhound Household the right to use and publish his/her name and picture in such media as Greyhound Household may choose (including but not limited to the internet and other Greyhound Household promotions) for advertising and promotional purposes without additional consideration. Greyhound Household may also publish and/or disclose the results of the prize draw including the winner’s name and details of entry. 11. Greyhound Household reserves the right to suspend or terminate the competition or amend these terms and conditions at any time for any valid technical or commercial reason. The purpose of this policy is to ensure that where CCTV is used by Greyhound Household (Greyhound), either as static or mobile solutions, such deployment adheres to the legal requirements contained in the Irish Data Protection Acts (1988 and 2003) and any other relevant legislation. The policy is also designed to ensure that any CCTV Systems deployed by Greyhound is not abused or misused and that such systems are correctly and efficiently installed and operated. All CCTV systems will be operated lawfully and only for the defined purposes set out in this policy. All CCTV systems will be operated with due regard for the privacy of all individuals at all times. The CCTV system will not be used for the purpose of monitoring staff. No CCTV System will be initiated, installed, moved or replaced without prior approval of Greyhound. The purpose of the Greyhound CCTV Systems will be documented in accordance with current Irish legislation. 1. To assist in the prevention, detection and investigation of offences and the prosecution of offenders. 2. To assist in safety and security of the Greyhound Household Fleet of trucks.